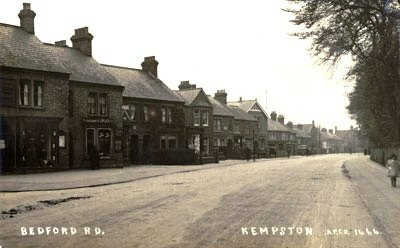 Saturday 29th September 1917: Kempston Urban District Council has considered a letter from the Paper Commission urging for the more economical use of paper and the collection of waste paper so that it can be sent to a depot for re-pulping. The Chairman suggested that this could best be carried out by school children and that the matter should be handed over to the head teachers of schools. Children have already successfully collected eggs for hospitals, and collections of horse chestnuts and blackberries are going well. It was considered a good thing for children to “do their little bit”, but with the reservation that boys should not be allowed to tout for paper, but only to call at houses when asked to do so. 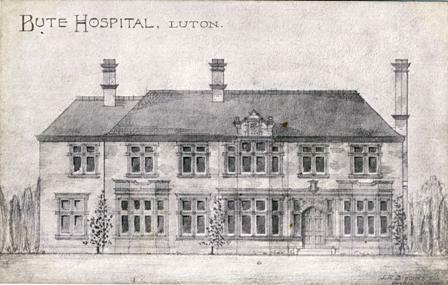 Thursday 27th September 1917: Four patients have been admitted to the Bute Hospital at Luton this week following accidents. On Saturday morning Mrs. Ada Meakins was coming downstairs at her house at 12a, Cardigan Street when she twisted her right ankle. She sent her young son for the doctor, who found it was fractured. She was admitted to the hospital yesterday. On Monday afternoon Driver Arthur Wright of the Royal Field Artillery at Biscot was doing a special riding drill when he fell from his horse and also fractured his leg near the ankle. On Tuesday evening Walter Saunders suffered a serious accident at Messrs. Kents’ works, sustaining severe injuries to his right leg, both hands and arms, and his face. He received first aid at the scene before being treated in hospital. 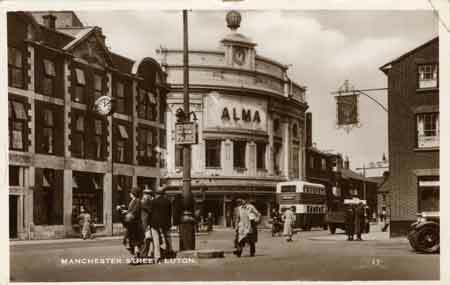 To complete the chapter of accidents, yesterday morning Cyril Glenister, aged 17, of Dane Road was working a stamping machine at the Diamond Foundry when one of this fingers of his left hand was injured and part of the top taken off. He was also given first aid before being taken to the hospital. Tuesday 25th September 1917: Edward Rawle, a farmer at Southcourt in Linslade, has been prosecuted for failing to carry lights on three hay carts on September 10th. 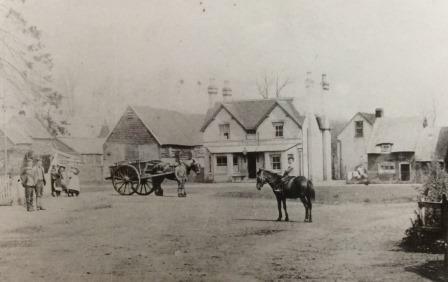 Special Constable H. P. Dawson said he was on duty at the Roebuck Corner in Leighton Buzzard at about nine o’clock when three of Mr. Rawle’s carts came along, loaded with hay or clover. Mr. Rawle seemed to be under the impression that it was not necessary to carry lights on hay carts and said it did not matter. He also seemed to be in a hurry and did not stop. The farmer said that in the West of England an exception to the lighting order had been made for hay carts as it was very dangerous to put lights on a load of hay. He was very short of labour and so was a little late coming back from Eggington. The court fined Mr. Rawle one pound. Sunday 23rd September 1917: School children across the county of Bedfordshire are being asked to help the war effort by collecting horse-chestnuts. A considerable amount of grain is being used in the production of essential war supplies and experiments have shown that conkers would be a suitable substitute. It is hoped that for every ton of horse-chestnuts harvested, half a ton of grain can be saved for human consumption. Schools have been asked to form small committees to organise the collection. The nuts must be fully ripe, and should be removed from the outer green husk before they are deposited at the collecting station. 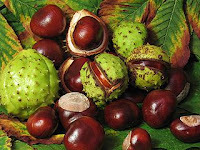 The reason for collecting conkers was kept secret at the time, but it was hoped they could be used to create acetone needed in the manufacture of cordite for munitions. The process of making acetone from starch-based foodstuffs, which made the large-scale production of cordite possible, was developed in 1915 by Chaim Weizmann, who later became the first President of Israel. The Committee also considered butchers’ scales of charges. The Committee was informed that only five had sent in lists of their meat prices. Offenders were to be sharply reminded of their obligations and warned that failure to meet them was punishable by a £100 fine and imprisonment. Butchers were now also required to exhibit their prices but in a number of cases this was not being done. 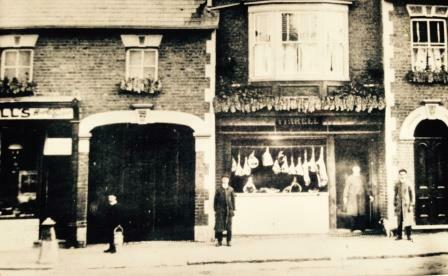 The position of itinerant butchers under the regulations was questioned, and the committee Chairman advised that they were required to display prices in the same way as any other butcher, with their cart being treated as a shop for this purpose. Notices have been sent out asking those butchers who have not already done so to display their price list as ordered by the Food Controller. There was concern that as butchers were allowed to make £10 on each bullock price manipulation was taking place. Butchers with a high-class trade reduced the price of poor cuts which they did not sell and increased the price of better joints, while those who traded mostly in cheap cuts lowered the official prices for the more expensive parts and charged more for the rest. The committee was given a long list of applications for registration as retailers of sugar, with all but one approved. There was some surprise at the number of sugar retailers, with the village of Wing having as many as eleven certified as having sold sugar during the year 1915 – it is thought that some only ever sold sugar in the form of sweets! 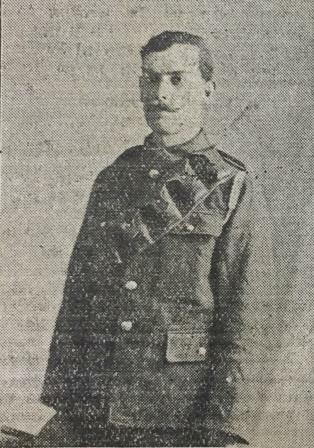 The Linslade applicant whose claim was disputed explained in a letter that his business was opened in July 1916 and dealt mainly with boat people who were concerned about their future supply of sugar. It was recommended that the application should be refused as there were two other shops near the canal where supplies could be obtained. However, a letter from Gunner Brooks’ commanding officer gives a different account of his injuries, stating that he “died from a penetrating gunshot wound of the abdomen”. He has been buried at Wimereux Cemetery near Boulogne. Thursday 13th September 1917: Lieutenant-Colonel Arthur Blewitt, whose three sisters live at Heath Manor House opposite St. Leonard’s Church in Heath and Reach, has died in France of wounds received from a bomb. Born in Pinner and educated at Eton, he was gazetted to his first commission in the King’s Royal Rifles in 1883. He took part in the expedition to Manipur in 1891, and was mentioned in despatches after the action of Abu Hamed during the Nile Expedition of 1897. In the following year he took part in the battles of Atbara and Khartoum, being twice mentioned in despatches, and he saw further service on the Nile in 1899. He served as a governor of Khartoum province under General Kitchener before returning to his regiment. He retired in 1905 and settled in New Zealand. At the beginning of the war he returned to England and offered his services to the government. He was re-employed with the temporary rank of Lieutenant-Colonel and placed in charge of several training camps. He was later sent to China to recruit a team of coolies to work in France, bringing them to Europe in a chartered steamer. His most recent post was a command in the Labour Corps, presumably in charge of the Chinamen. At the time of his death he was 56 years old. 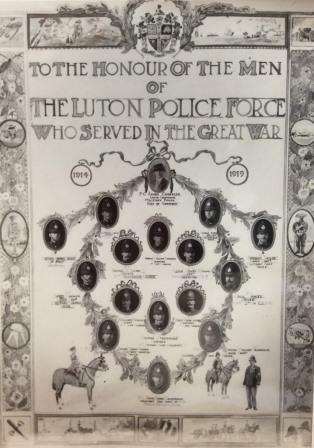 Tuesday 11th September 1917: Four boys from Heath and Reach have appeared in front of Leighton Buzzard magistrates after a summons was issued under Article 42 of the Defence of the Realm Regulations. 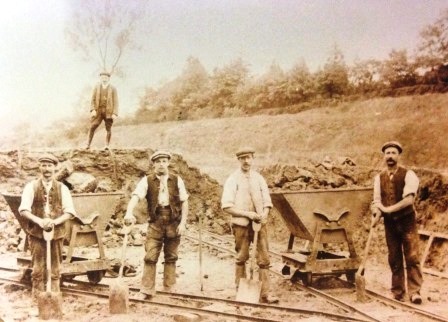 The boys were charged with refusing to transport sand on September 5th, therefore impeding the production of war material. The case against Frederick Hack, Alvin Charles Hedges and Edwin Cutler, all aged seventeen, and sixteen year old Jack Kenney was withdrawn after they boys apologised for their actions and started work again. The prosecuting solicitor told the Court that the boys had asked for more money in the middle of the week and stopped work immediately. If they were not satisfied they should have waited until the Saturday and given notice in the proper way. The Chairman of the Bench said that such actions in war time were most serious, and that the defendants would be dealt with severely if they appeared again. Saturday 8th September 1917: Two Bedfordshire girls working in munitions factories have been awarded the Medal of the Order of the British Empire for devotion to duty. The Medal is given for services of special merit rendered to the Empire by both men and women in civilian war service. 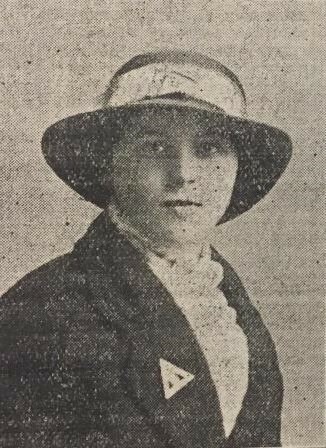 Miss Lily Smith of 35 All Hallows Lane, Bedford worked at a powder factory in Bedfordshire before responding to an invitation for volunteers to work in a filling factory near London. After working there for about a fortnight a bomb exploded, fracturing her left hand so severely that it had to be amputated. Showing the utmost bravery, she insisted on walking part of the way to the hospital. When she recovered she returned to duty, saying that all must do their bit to enable our brave troops to win the war. Her courage so impressed her colleagues and managers at the factory that they presented her with a gold wrist watch. She was also given a gold pin on which a piece of the bomb extracted from her hand had been mounted. Thursday 6th September 1917: Yesterday morning a rumour spread that a grocer in Bedford’s High Street had a quantity of sugar for sale. 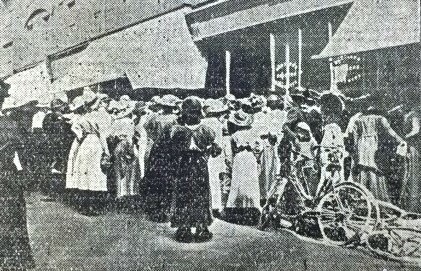 The shop was soon besieged by would-be purchasers and a lengthy queue formed. By 11 a.m. the shopkeeper was obliged to close the door, but the crowd around the shop continued to grow. Some left during the dinner hour, but by 2 p.m. the number of sugar hunters was larger than ever. Those who had managed to secure a prime spot in the doorway were “most inconveniently crowded” and P.C. Smith had difficulty keeping the crowd in check. The pressure from behind eventually caused a large side window to be smashed. The crowd remained until 3.30 p.m. when an announcement was made that no more sugar was available, after which the waiting shoppers dispersed quickly and quietly. Tuesday 4th September 1917: Despite war time conditions the local property market in Leighton Buzzard continues to improve, with Messrs. Cumberland and Hopkins carrying out successful auctions of properties in Leighton Buzzard and Heath and Reach. 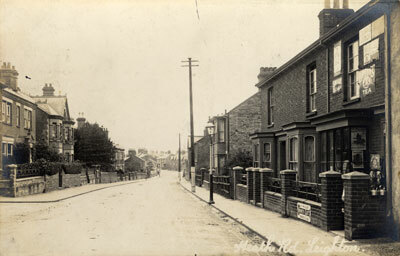 A pair of modern, seven-roomed villas in Heath Road, known as Fair View and West View, both currently let at annual rents of £39 p.a., were sold for £335 each. The houses are bay fronted, with ornamental flower gardens in front and large gardens at the rear. A freehold, double-fronted house at 59 North Street, with yard, stabling, coachhouse and outbuildings was put up for sale by the Aylesbury Brewery Company and was bought by Messrs. W. J. and G. Baker for £290. 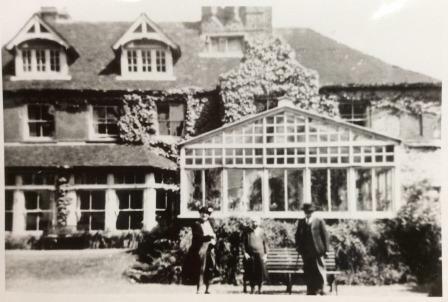 This property was formerly the Buffalo Public House and was used as an inn or beerhouse for at least two hundred years before it closed in 1913 and became a private house, In Heath and Reach a double fronted six-roomed freehold cottage on Shenley Hill Road, currently leased at £10.8s p.a. was sold for £205. Of the Kaiser and the war. He can’t knock Tommy out. To knock him back again. And of airmen he’s not many. Prince Rupert doesn’t know how. Or the lads behind the wires.